In the world of industrial equipment, no other basic tool is available in so many different configurations as the boom truck crane. The varieties are many and each one is able to perform different jobs in many different ways. When looking for the best vehicle to buy, it is important to understand that all these vehicles are capable of lifting large and heavy material; however, not every one of these useful vehicles is created equally. Finding the right version for the required job involves a careful assessment of each type, its many features and equally any limitations. 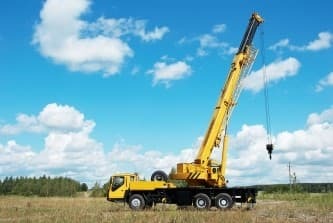 Consider the following listed elements when considering the purchase of a boom truck crane. There is indeed a big difference between working on city streets with light industrial type boom truck and working at a major construction site or on loading docks at a harbor with a much larger vehicle. In most cases, all versions can accomplish the same basic job; however, the vehicle itself must be suited for the terrain and the workload at each individual job site. 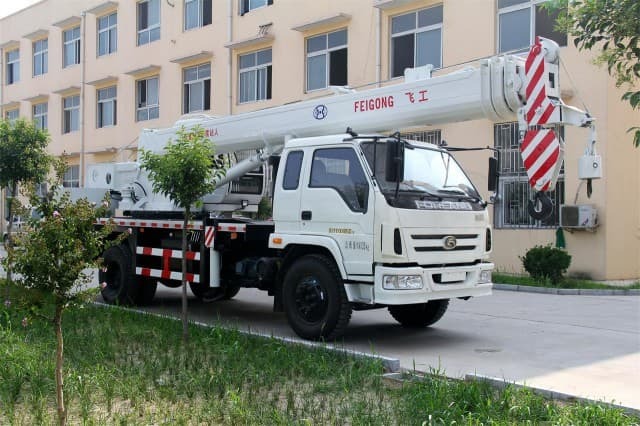 This means that the weight of the boom truck, the weight of any load that will be lifted or carried, and the ease with which the vehicle can be maneuvered must be considered in order to come up with the right model and type selection. 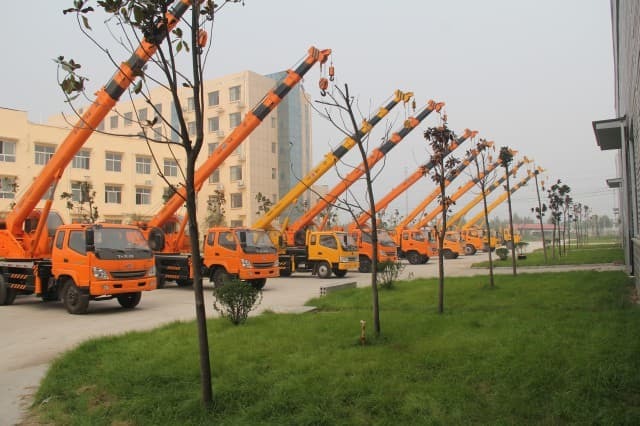 Boom truck crane for various types of work sites range from a standard, smaller sized chassis on standard wheels and tires to massive mechanical arms on large trucks with giant, off-road and rough terrain tires. Stick or straight boom – A straight, long boom arm is run with hydraulics or cables. 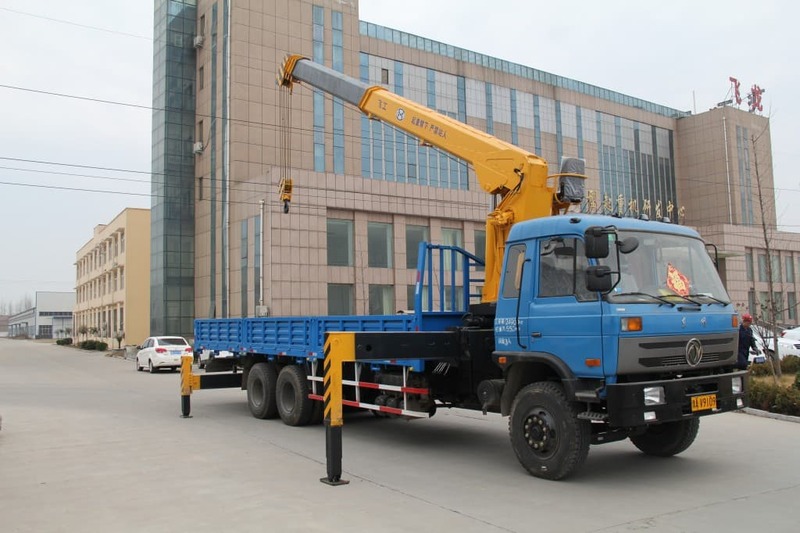 A standard arm crane can lift considerable amounts yet are limited in how much payload the vehicle can carry, since the lifting arm is stowed across the rear bed of the truck. 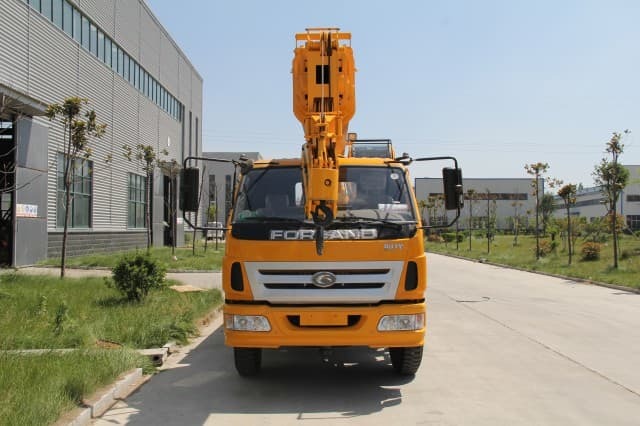 Standard crane trucks are useful in most situations; however, they are limited in both height of lift and maneuverability since the arm is one piece and at the most can only rotate on its base. 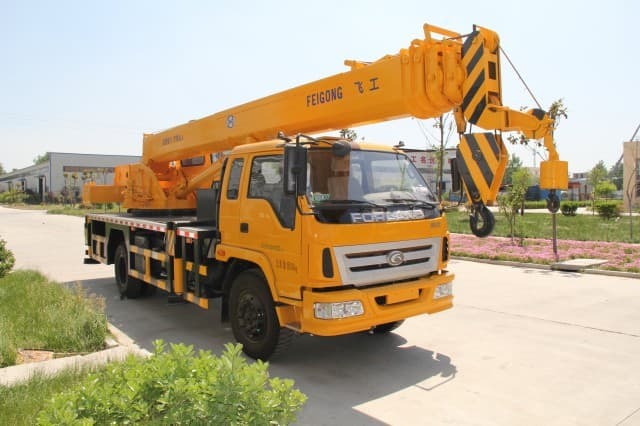 Telescoping boom – Similar to the standard arm boom, a telescoping boom truck crane also requires a large amount of storage space on the vehicle and is limited in maneuverability which is made up for with its power. Since it expands to much greater lengths than most straight-arm lifting trucks can handle, the telescoping arm can be ideal for long reaching situations when a greater range of both height and distance are necessary. 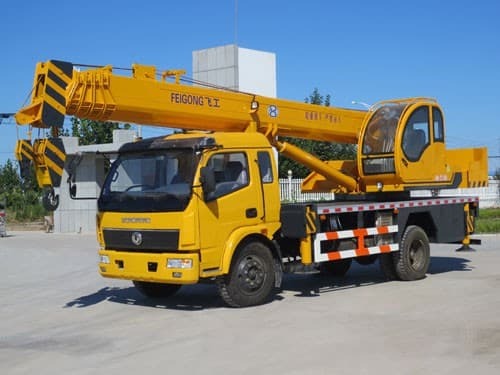 These hydraulic lifting vehicles are made of multiple pieces that all collapse into each other yet when fully extended offer a much greater reach. Knuckle boom – This multi-purpose crane is highly useful and able to complete a wide range of jobs. 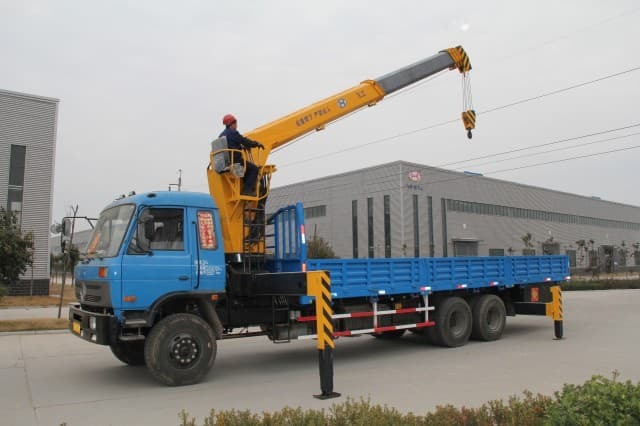 Although a knuckle boom truck may not have the extreme length of telescoping and straight-arm versions, that deficiency is make up for with great maneuverability. The articulated, jointed lifting arms can lift loads as high as both other types of cranes while working very close to the job site. 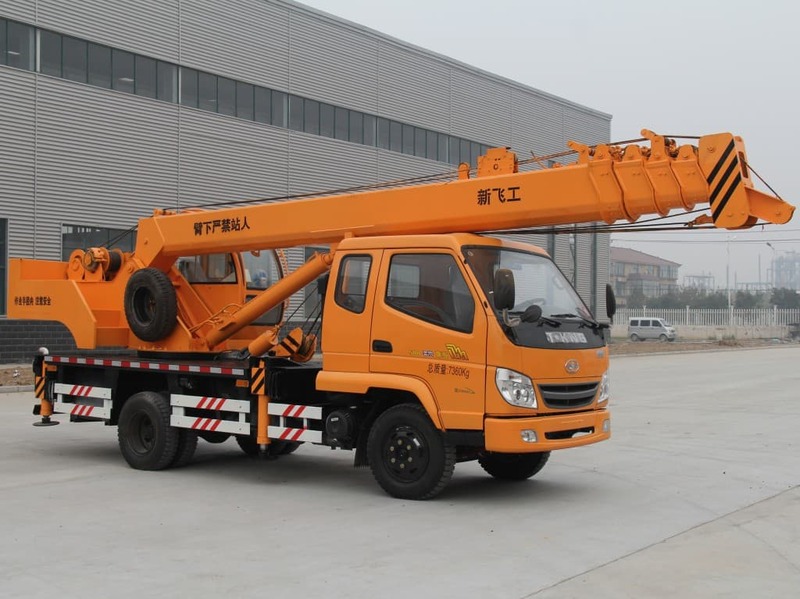 Because of the knuckle boom’s different approach to lifting, which is more upward than outward, these units can be smaller and lighter yet stable and able to provide ample lift height and power. An additional benefit is that the jointed arms fold up quite compactly, leaving great usable payload space on the truck bed for carrying material, therefore reducing the need for a separate vehicle. 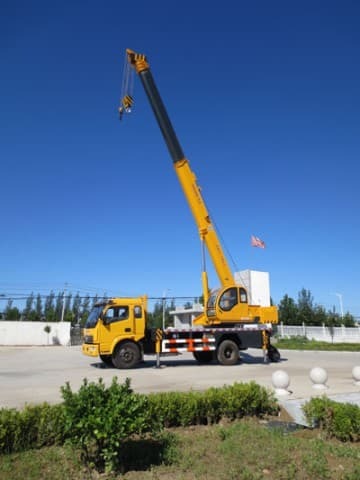 By matching up the job requirements with the varied strengths of these versatile boom truck crane, the right vehicle can be found to accomplish almost every job requirement. Other than the most extreme lifting situations, knuckle boom trucks are a favorite on many construction and work sites. All three of these types of cranes have a useful role and should be considered for purchase based on the jobs that will be done!